Top 9 Reasons for a Professional Appraisal - AKME Appraisals, *Divisions, Inc.
Relocation Appraisal: You’re moving and your Employer Relocation Package requires an Appraisal in order to confirm market activity ensuring that overall their employees are not losing money during their *relocation* career. Confirm your Appraiser is Approved on the Relocation List. Marriage Breakdown: Confirm that the Appraiser is Sworn in Supreme Court Family Expert Witness. If not, the Court will require “your appraiser” to become approved. You may experience a time delay and additional expenses while waiting for the appraiser/appraisal to be approved. Mortgage Financing: Confirm that the Appraiser is Approved on your specific lenders approved list. If not then the Appraisal could be declined. Always confirm with the appraiser that “Lender requirements are met therefore no unnecessary delays”. AKME Approved 99% of all lenders. 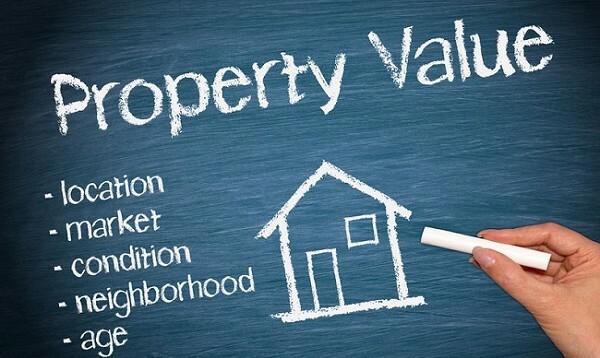 Resale Appraisal: Confirm that the Appraisal will also include the Active Competing Properties in order to identify exactly what your property will be competing against. If there is 100 comparable properties on the market and you are priced at the middle or top of that range – then you may be active listed for a lot longer than you were hoping to be. Renovating your home: Ensure that all renovations you complete will NOT cost you more than what your home will be worth – Ask your Appraiser how they qualify this and the scope of how they do this work. Many Appraiser/s Use the Published Professional New Construction/Improvement Charts. Investors and “home flippers”: Confirm that in the event of a market downturn that you will be able to sell your properties within a reasonable amount of time rather than endure possible hardship. Request Days on Market information, active competing information and some new construction information. Insurance Appraisal Purposes: In the event the home is damaged or destroyed, the appraiser will have full descriptions and ample pictures on file. Our appraisal reports are typically a minimum of 20+ pages with many comprehensive pages of market information. ** Confirm that the appraiser takes interior pictures (not all appraisers take interior pictures) – how many, zoning excerpts, many maps, and very important confirm the approaches/tools that the appraiser will be relying on to estimate a fair market value. Revenue Canada Purposes: Investors often need to report on their properties, ensure your Appraiser has accurate data to write this and all of the above named reports. Disagreeing with another Appraisal: Confirm that your Appraiser is a Qualified/Certified Appraisal Reviewer and is able to explain “other appraisal insights/explanations/recommendations.” Confirm that the Appraiser has a reputation for consistent explanations in basic Appraisal explanations to advanced Appraisal theory explanations.